The Lunar New Year Sale has started over on Steam and this year, we’ve decided to take part in it as well! 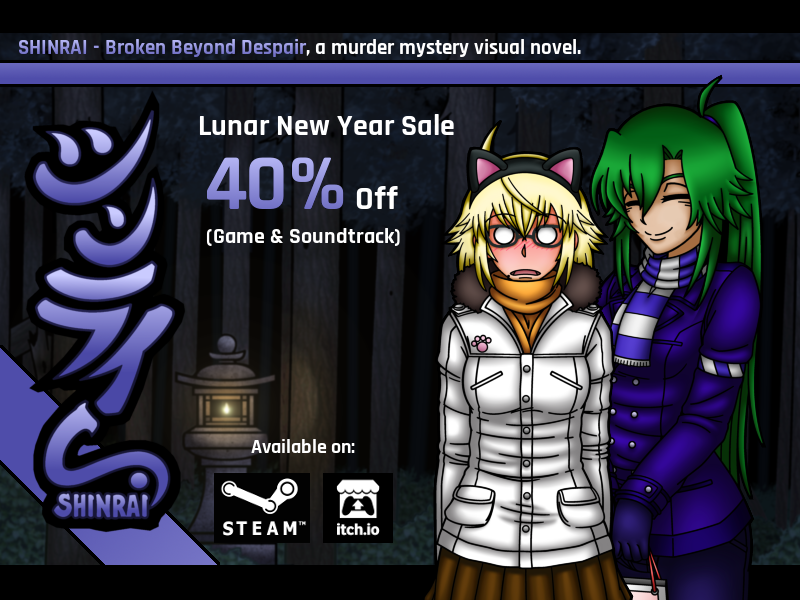 So until February 11, 10:00 AM PST, you can acquire our murder mystery SHINRAI – Broken Beyond Despair, as well as its complete OST, for 40% off! There is also a Bundle available through which you can save another 10%. Of course, the same deals are offered on itch.io as well! Feel free to visit the game’s page to learn more about it. 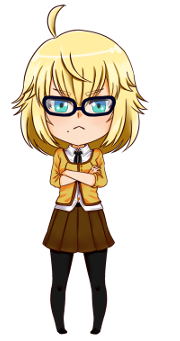 If you’re still not sure whether or not SHINRAI might be your thing, you can check out our Steam Reviews to get some player impressions!